Last week I wrote about magic circles, spaces where reality is suspended and we’re given permission to play, to try new things, and to explore a new world for a while. And—like train rides to Hogwarts or wardrobes to Narnia—there are mechanisms that get people into those magic circles, from theme songs to dimming lights to title screens to book covers. These are structures built to pluck you from wherever you are and usher you somewhere new. Today, we’re not going to talk about magic circles. We’re not going to talk about books or movies or music—not in and of themselves, at least. What we are going to talk about are the boundaries between all of those things. Because it’s easy, in both creation and consumption, to skate over the hard edges that makes an experience complete. Not today. Today, we’re going to acknowledge the spaces of transition, tradition, and structure. Here are some of my favorite thresholds. Everything about the way this book looks and feels in your hands points you toward the story it’s telling. It’s a short, stout, 500-page solid brick of a graphic novel. The form of a book—whether ebook, paperback, or hardcover—always affects your reading of it, but as a story about form and craft, The Sculptor as a physical object feels particularly aligned with its contents—a block of raw material, waiting to be excavated. In the extended edition of The Lord of the Rings, past the prologue about the history of the ring, there’s a really lovely sequence where Bilbo narrates daily life in the Shire, touching on small things like eating, drinking, and gardening. It is, far and away, the best possible invitation to the world you’re about to spend twelve hours in, and I tear up every time. If making someone feel welcome truly is one of the kindest things a person can do, Concerning Hobbits is quite a generous host. For an experience that could easily be dry and calculating, board games offer some of the best pathways into other worlds. Punching out all the little cardboard pieces, of course, gives the player ownership of the world they’ll be playing in, but really it all starts with the rulebook. Scythe can’t be topped on that front. 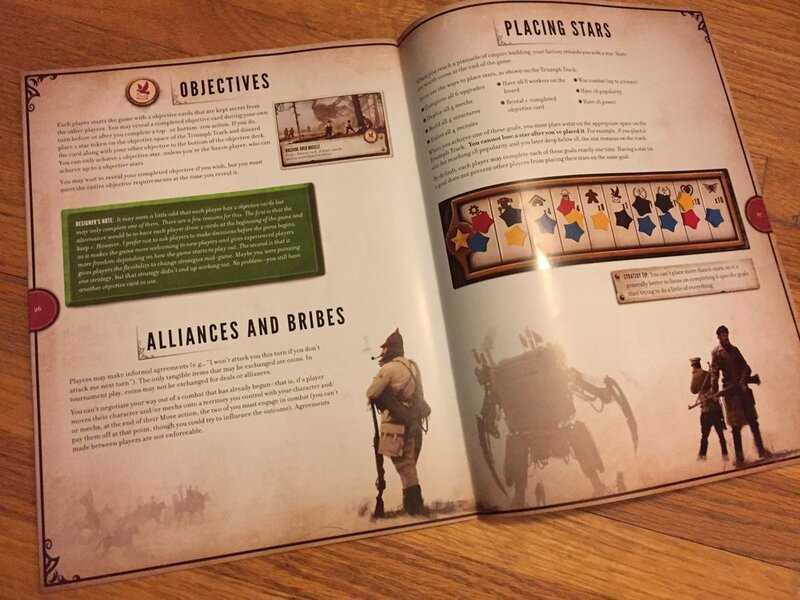 From the beautiful illustrations of a mech-filled, alternate post-WWI Europe to the sparse and often comedic flavor text, reading the rulebook for Scythe is immersive and compelling in a way that few board games have matched. Even though the show has ended, the threshold into joy this song created was so strong that I’ll still occasionally pull it up on YouTube when I’m feeling down. I’ve owned Nintendo’s handheld systems since as far back as the original Game Boy, but the GameCube, that weird purple lunchbox from the early 2000s, was my first home console. I had it hooked up to a tiny, ten-inch CRT television in my bedroom, and the sound of that rolling cube, the feeling it seemed to suggest of playing with building blocks and LEGO, brought me without fail to Animal Crossing and the Great Seas of Hyrule. Theaters don’t really do this anymore, which I actually don’t have much of a problem with, but it used to be that when the projector switched over from the pre-roll ads to the movie trailers (from flat to scope), the top and bottom of the screen would roll in (or sometimes the sides), enclosing the story we were about to watch into a box. I always loved this. The automation that created the physical shape of the movie was like watching a book magically appear out of paper pulp. The Internet is generally pretty bad about thresholds and structure at the moment, which is why I really appreciate sites like Homestar Runner that put so much care into crafting a complete world to explore. The 20+ different menu screens were always a great portal to Free Country, USA. Still the most clever and fitting studio crawl to ever appear before a movie. I never used to make the bed, but I haven’t missed a day in the past two years, ever since I watched Kingdom of Dreams and Madness, a documentary about Studio Ghibli, their work process, and their people. In it, the filmmakers go through Miyazaki’s daily routine, which includes making the bed. The routine, he says, helps keep him moored. I find this is true of me, too. The structure gives freedom to explore the day. And if I can’t bring myself to make anything, at least I made my bed. There are so many more, but that’s all for this week. A blizzard approaches the Twin Cities, and I’m hard at work creating my own magic circle, due out next week. Until then, you can find me hiding in my room.